There are many different reasons why someone may want to lose weight, but it’s a pretty safe bet that almost everybody will want to at some point in their lives. Weight loss hypnosis will make you feel and look better, and will increase your self confidence. An excellent place to start for most people is to set a goal to listen to your weight loss hypnosis session regularly. Like in many other aspects of life, the key to achieving your goal lies in proper planning and execution. Everybody is different. We all have different lifestyles, schedules and abilities, and it’s important that this is kept in mind when approaching weight loss hypnosis. Before you actually begin trying to lose the weight, you must decide on a realistic plan that is right for you. The worst thing you can do is set a plan that is difficult to achieve. If, for example, you’re an extremely busy working parent, don’t create a plan for yourself that entails listening to your weight loss hypnosis 4 times a day, as chances are you’re going to fail, which will only end up making you feel worse about yourself. Every weight loss attempt should ideally compose both dietary changes and an increase in exercise. 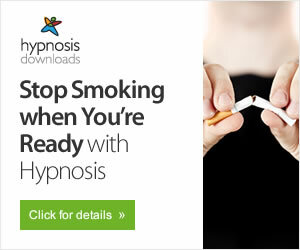 Weight loss hypnosis can make dieting much easier than you had imagined but you do have to make a conscious effort to change your lifestyle while practicing your hypnosis sessions. When looking at your diet, do some research and come up with some healthy meal ideas that you don’t normally eat. Plan to eat these new meals on a regular basis. You want to break your plan into as many small steps as possible, so that you provide yourself with many small, achievable goals. For example, you may decide to research your new meal on Monday, buy the ingredients on Tuesday, and make it on Wednesday. Not only does this split the work up – if you leave it all to one day it’s far more likely you won’t have the time to do it – but it creates a constant sense of accomplishment. When listening to your weight loss hypnosis cd or mp3, think of the changes you have decided on to enhance the power of the affirmations. Doing this also personalizes your practice and focuses your mind more solidly on your goal. At least half the battle with weight loss hypnosis is one of discipline: as anyone who has been on a diet or exercise regimen will tell you, it’s easy to start a diet but hard to stick with it. The worst thing you can do when doing weight loss hypnosis is to set yourself up for failure, as this is a cycle that tends to repeat itself. By creating and executing a well thought out and realistic plan, you give yourself a huge advantage in your ultimate goal of weight loss. By Abbas Abedi—To make weight loss easy visit my page with info and an audio-video for weight loss with self-hypnosis.